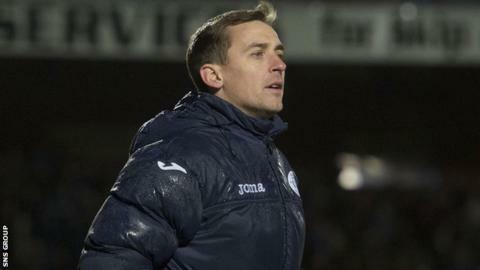 Queen of the South have announced the departure of manager James Fowler. The 35-year-old former Kilmarnock defender leaves with the Dumfries side sitting seventh in the Championship, 19 points adrift of the play-off spots. Fowler replaced Jim McIntyre in September 2014 and led Queens to fourth place in his first season. The club say assistant manager Gavin Skelton and coach Jim Thomson will take temporary charge for the two remaining league matches of the season. Chairman Billy Hewitson said: "It's always disappointing when a manager leaves, we thank James for his efforts and wish him all the best for the future."